If you’re looking for affordable, flexible options on your next new or used car near Breckenridge, then check out the auto financing options available to you at Dakota Chrysler Center in Wahpeton. We have a variety of competitive Chrysler financing and lease terms available, as well as a team of dedicated finance professionals with the skills and resources to help you out! At Dakota Chrysler Center, you’ll find lots of great lease deals going on at all times, including special lease offers with low money down and low monthly payments. Trying to determine your Jeep financing options on your next SUV? 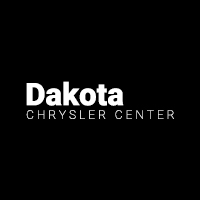 Dakota Chrysler Center is here to help. Whether you’re looking for low down payments, low monthly payments, or something in between, we’ll help you structure your loan to suit your budget goals and financial needs. Our finance team has access to a database of some of the best lenders throughout the country, making some of the most competitive APR financing rates available to our clients. Trying to figure out how to cut down your payment? Consider trading in your old car for assistance with your down payment. We always offer top dollar on trades, and you can even value your trade online to get a jumpstart. If you’re setting your budget for your Dodge financing plan and working out your monthly car payments, then make sure to check out our online payment calculator tool for some additional assistance. Apply for Car Financing Near West Fargo Today! Ready to take the next step on your Ram financing plan? Our finance center is open along with our showroom Monday through Saturday just a short drive from Fargo in Wahpeton, ND, and you can apply for financing online right now! If you have any questions, feel free to contact us online!